Time for a Fall sweater photo shoot. I finally finished George last night! Of course I was sewing up the final edge as Tim was putting Oscar to bed so I had to wait til this morning to see how it fit. It was worth the wait, he’s adorable in it! Oh where is this Fall they’ve been talking about? Time to sweater up the boy! 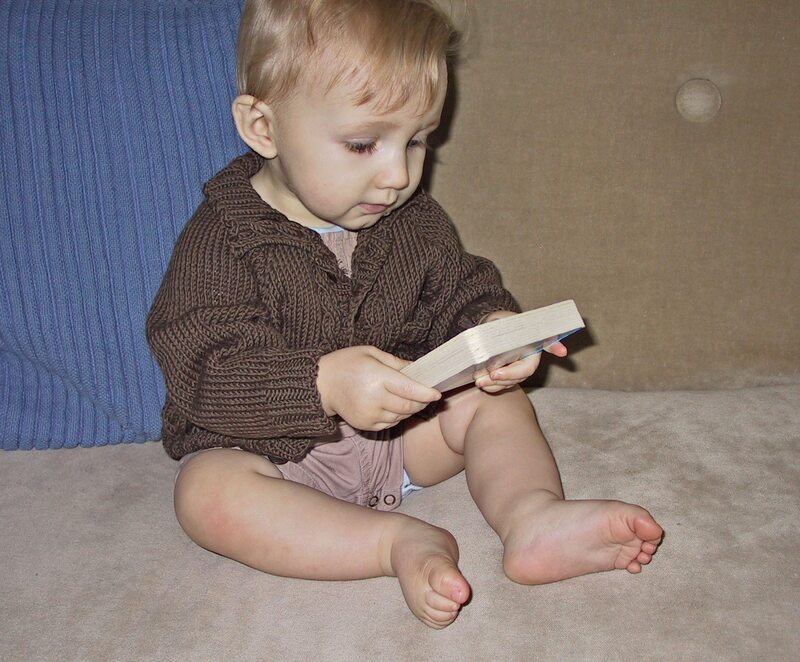 I was so excited to knit this sweater because it was out of my new favorite baby knits book by Jaeger. I used Jo Sharp Soho Summer in Umber which was a great yarn to work with. The pattern was easy to follow it just took forever. Most likely because I’ve been so distracted by other projects but also it was one of those patterns that never ends. Those huge raglan sleeves and then when you think you’re done because the major portions are finished there’s seaming the whole thing and that collar in the cable and rib and then the pockets! And then sewing on the pockets! And then, well then it’s done! Hooray! Ahh how cute! The sweater looks awesome! yes, the key to being a wonderful mother I’ve discovered, is to only take photos when he’s happy! Oscar is ridiculously cute. I absolutely love all the beautiful sweaters you make for him.